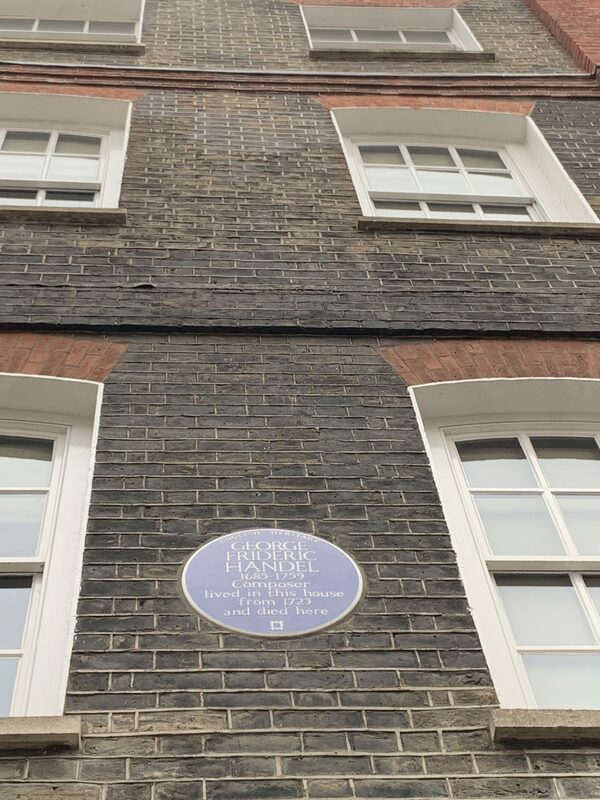 Mayfair, an affluent area in the West End of London was named after May Fair, the annual spring festival renowned for its pedlars, jugglers and sideshows. 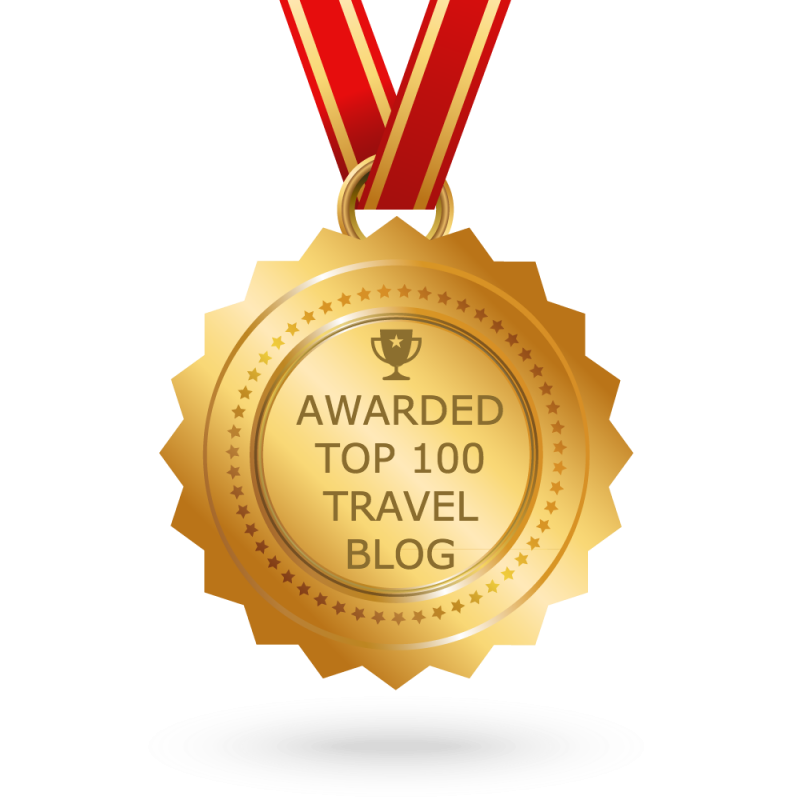 It is one of the most expensive districts in London, as fans of the UK version of the classic Monopoly board game will know, and is filled with lots of restaurants, bars, gorgeous gardens, parks such as Green Park, some fabulous art galleries, sculptures and streets steeped in history. 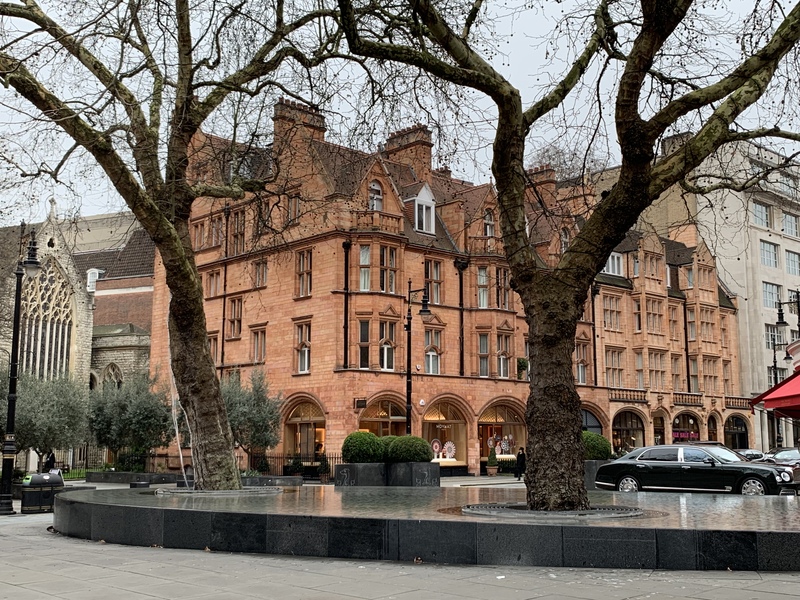 I love popping in to the hotels in Mayfair too, which are stunning, and house fabulous restaurants and bars inside them, and stand with a lot of grandeur on Mayfair’s streets. 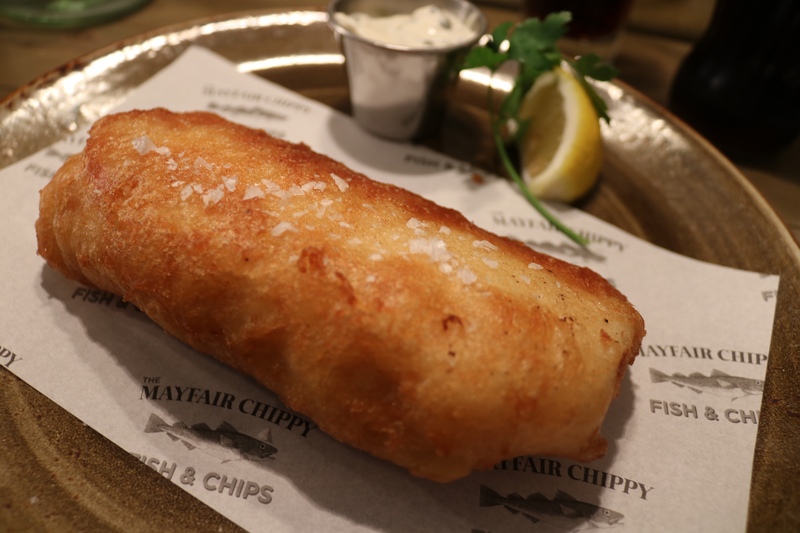 Here are my favourite places to eat, drink and explore in Mayfair. 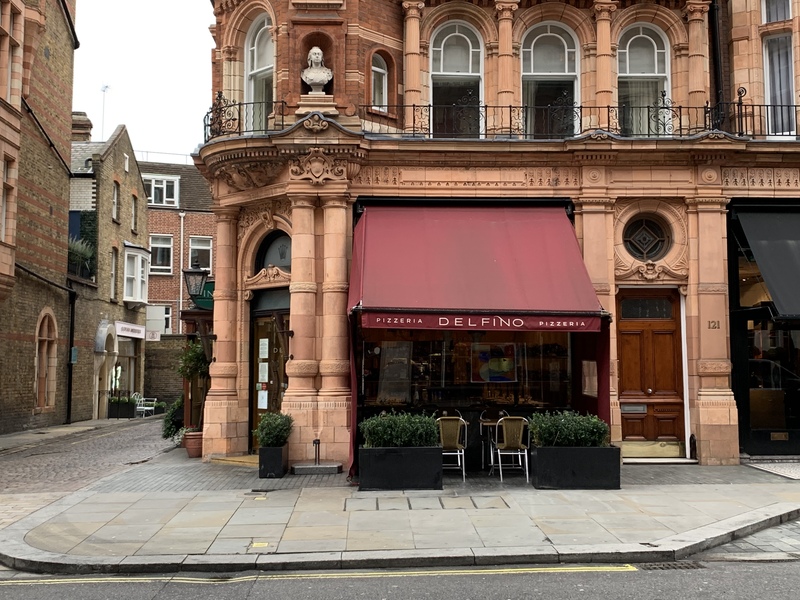 Mount Street is home to stylish designer stores and restaurants, and my favourites are Delfino, a fantastic pizzeria for their delicious pizza, and Jamavar for Indian food, especially their butter chicken and black dal. 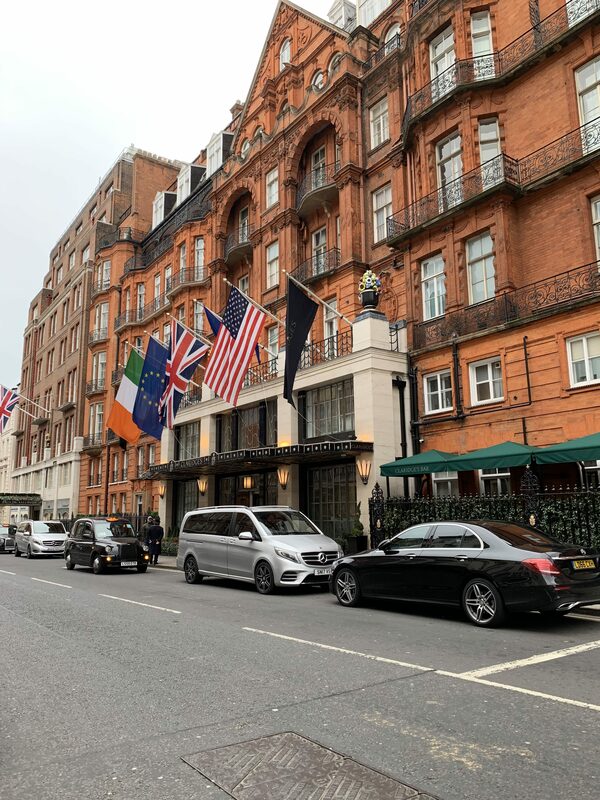 Further up the street, on Carlos Place, I also adore The Connaught Hotel, where I love popping in for a drink and also love the food at Jean Georges at The Connaught. 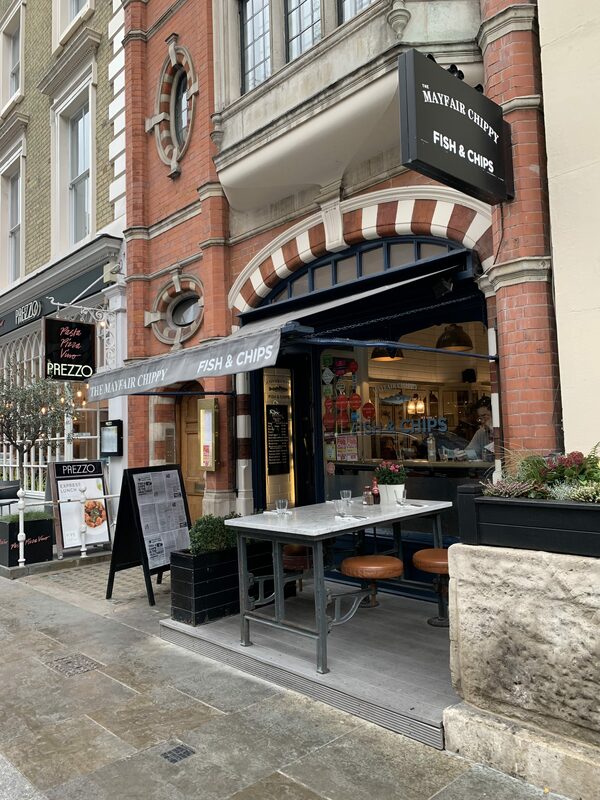 Also on North Audley street is a French bistro called NAC, where you can enjoy crushed milk chocolate cookies with Frosties soft serve for dessert which is just incredible! 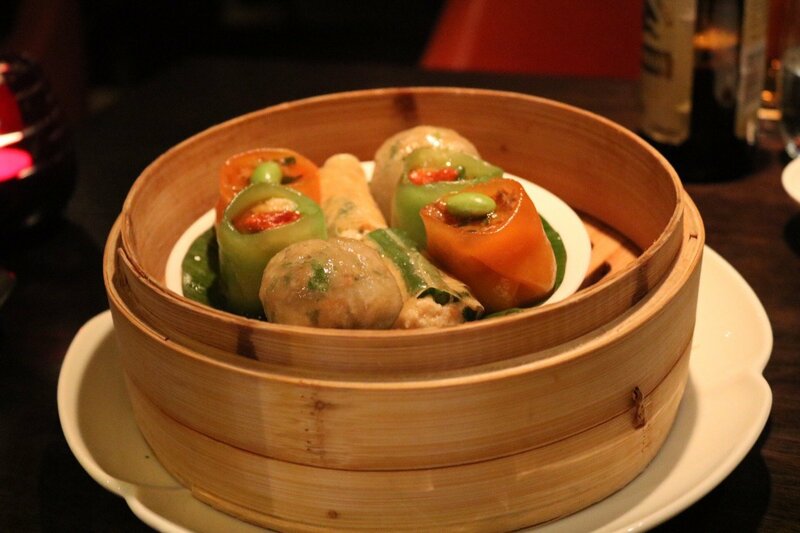 If you are a Dim Sum fan, Michelin starred Hakkasan in Mayfair, on Bruton Street is fabulous. 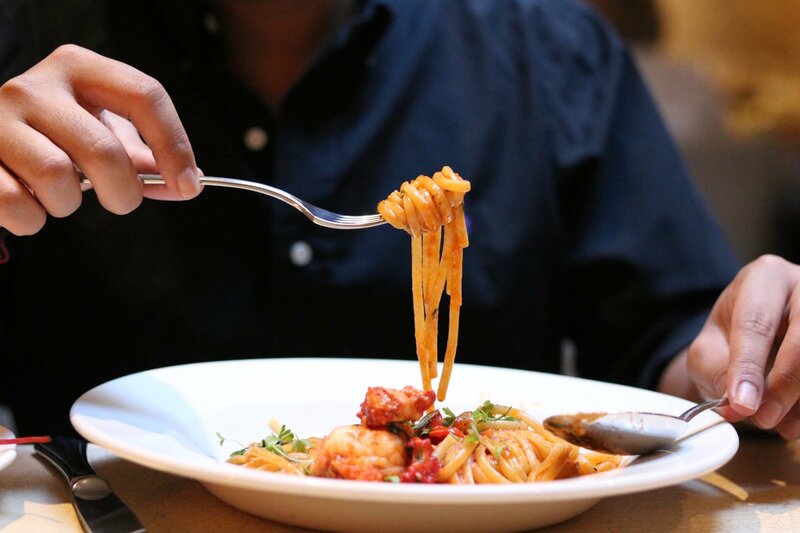 For Italian I love Bocconcino on Berkeley Street, where you can enjoy a lovely romantic meal upstairs or delicious wood fired pizzas downstairs. 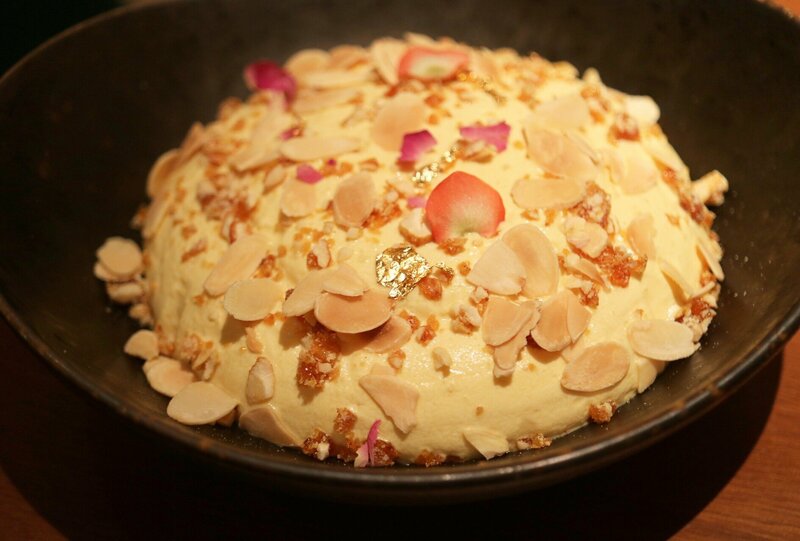 On Albemarle Street I adore Indian Accent and their silky Makhan malai, served with saffron milk, rose petal jaggery brittle and almonds is to die for! For breakfast or Afternoon Tea, head to Claridges for a quintessentially British experience. 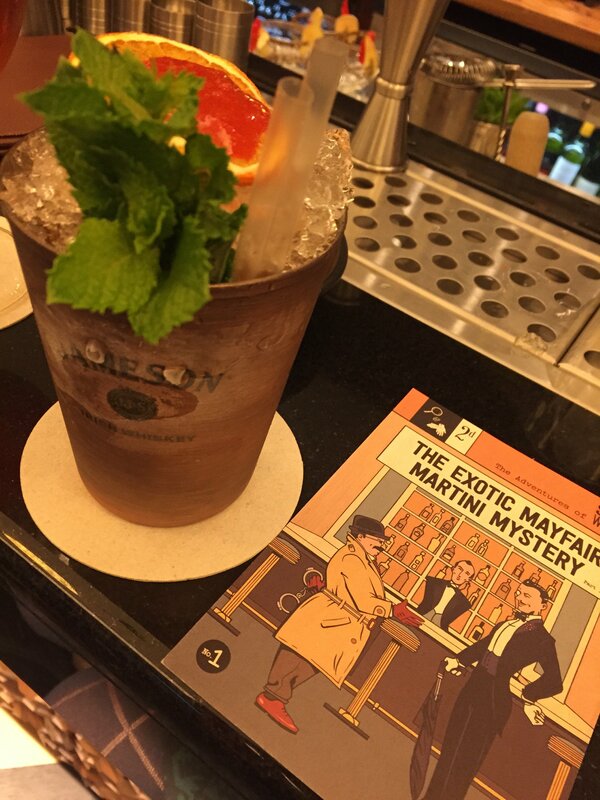 I love the hotel bars in Mayfair, and favourites include The Connaught, where I love enjoying a crisp glass of Champagne when in the area, Smith and Whistle at The Sheraton Grand, who do a delicious Mojito and is a firm favourite, and for something unique, The Luggage Room, which you can find on the corner of Grosvenor Square. 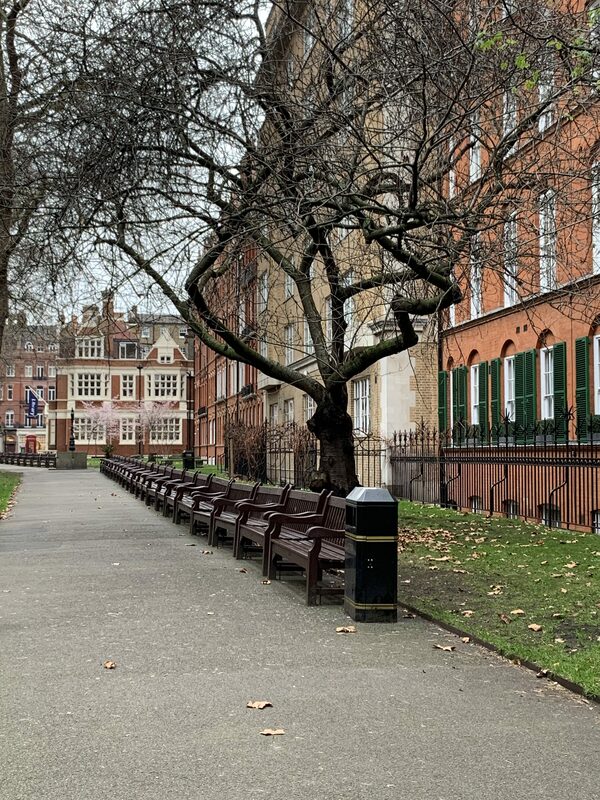 I love the garden in the centre of Berkeley Square, and it is the perfect spot to pause and take a break or enjoy your lunch whilst people watching. 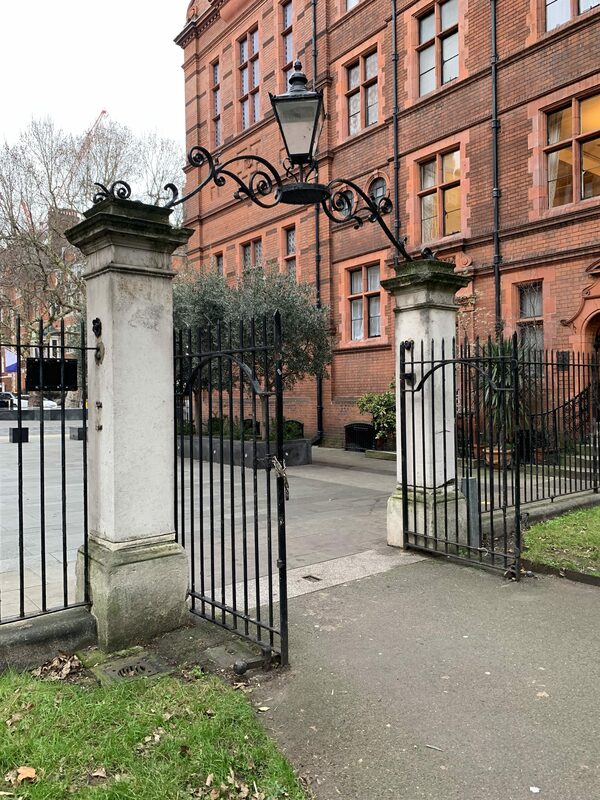 Next to The Connaught Hotel, I adore Mount Street Gardens, which is so quiet and peaceful and a lovely place to take a picturesque walk. 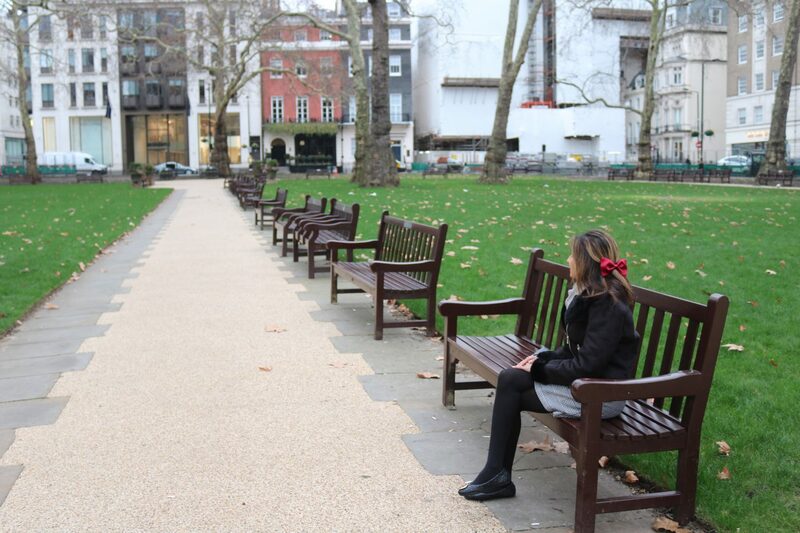 In Mayfair you have Green Park, which is perfect for walks and picnics. 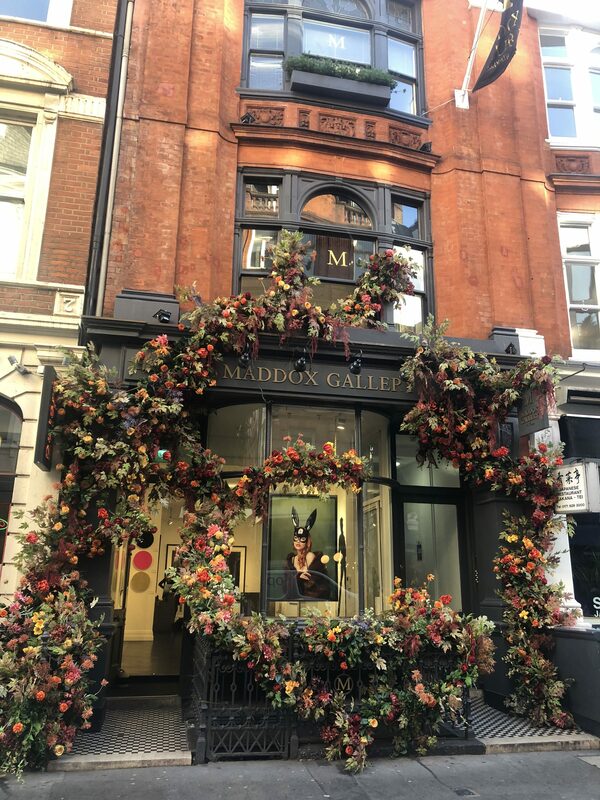 Popular for its floral facade that changes with the season is Maddox Gallery, found on Maddox Street. 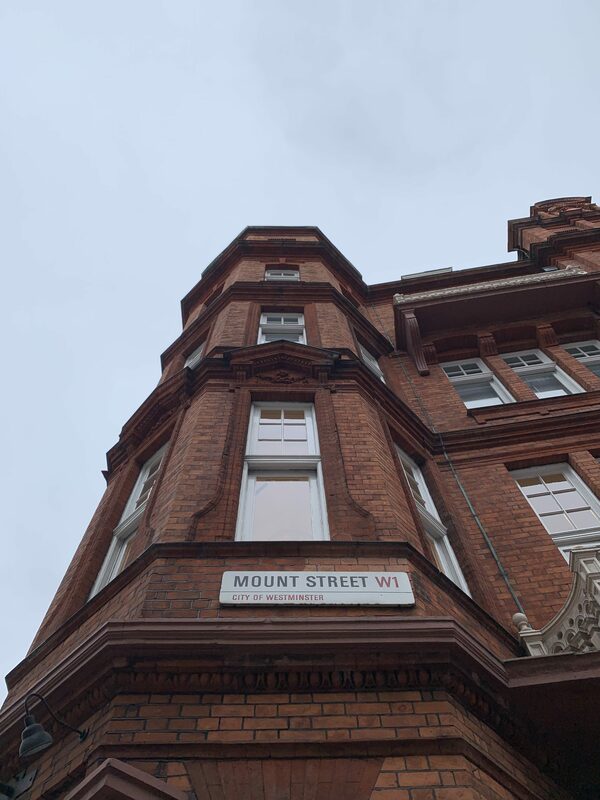 Inside the gorgeous exterior you will find a contemporary art gallery exhibiting an eclectic mix of paintings, sculpture and prints by blue chip, established and emerging artists. 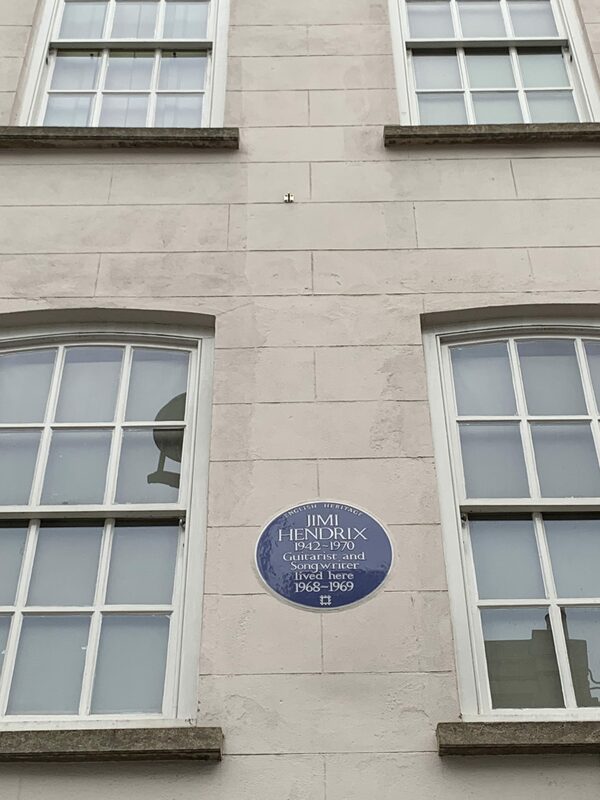 If you happen to find yourself on Brook Street, remember to look up when you get to number 23 and 25 as you will find blue plaques with a description of two very famous musicians who used to live there – George Frederic Handel, who lived there from 1723 until his death in 1759, and Jimi Hendrix’s flat where he lived with his girlfriend. 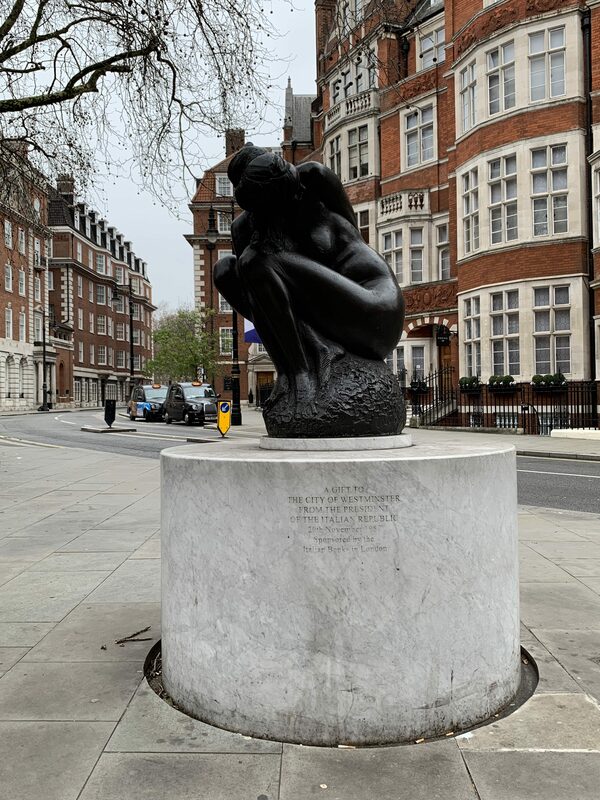 On Carlos Place you will find a sculpture The 1973 sculpture was created by the Italian artist Emilio Greco (1913-1995) and was “A gift to the City of Westminster from the President of the Italian Republic 20th November 1987. Sponsored by the Italian Banks in London”. 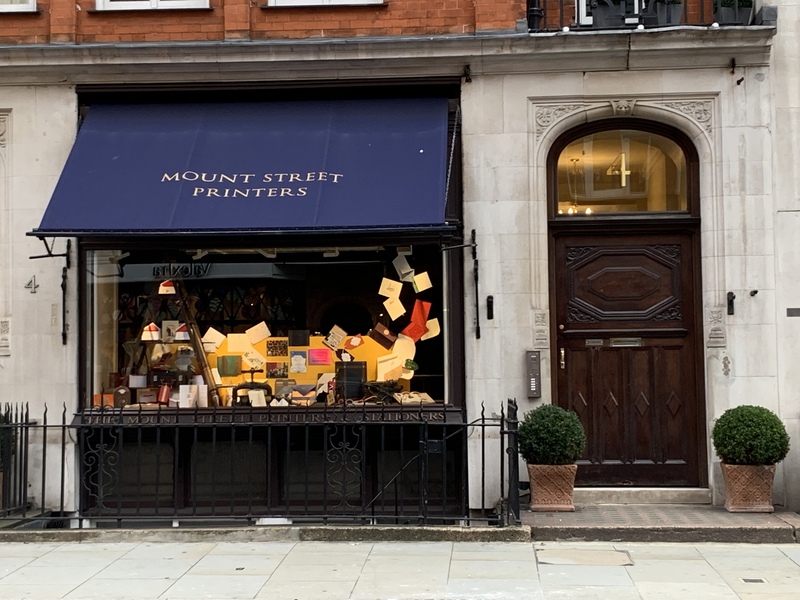 If you are a stationery lover, Mount Street Printers, a family run business is a must visit and they have produced bespoke luxury stationery since 1981. Such a fabulous part of London! 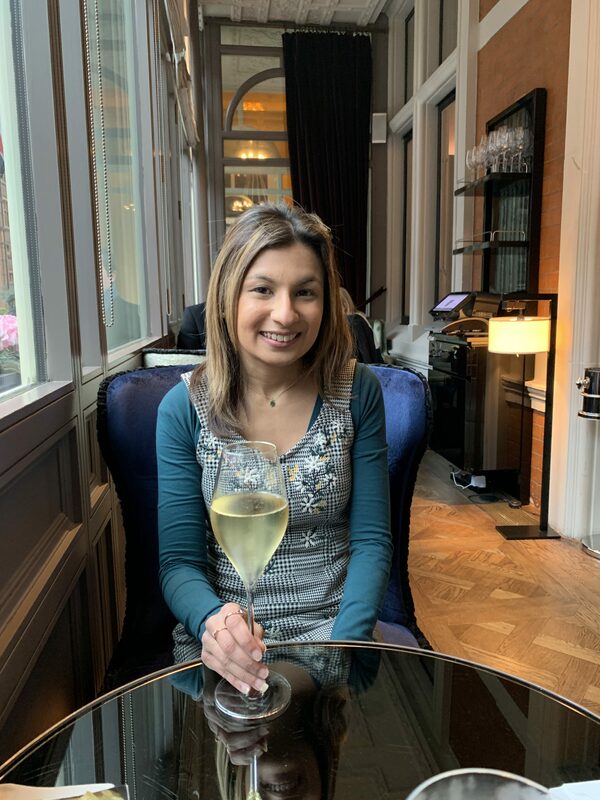 I love the Connaught Hotel Bar too – it was where Mr Purley took me for my birthday when we were first together, so lots of special memories. Plus they make an amazing apple martini! 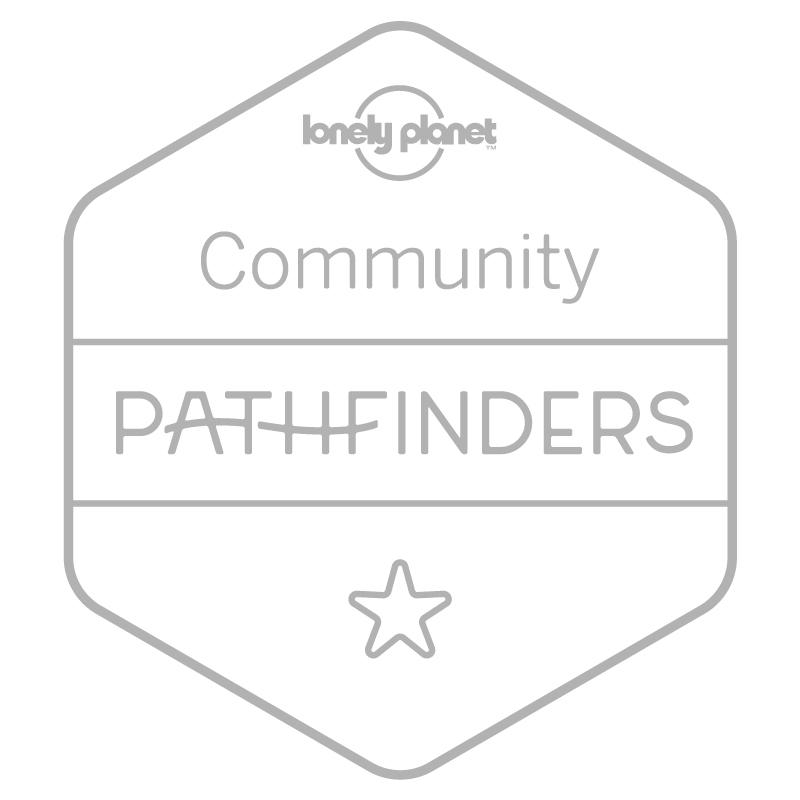 There are just so many wonderful places to go in Mayfair. You can’t beat a morning in Mayfair! 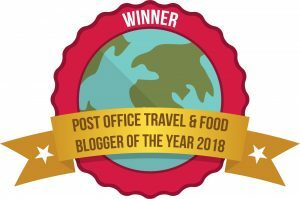 Jamavar’s dal is pretty legendary!